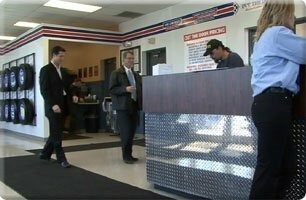 The Dunn Tire Blog is dedicated to providing you with tips, advice, and the latest technology related to tires and vehicle performance. Our mission is to create an interactive community which stimulates conversation and offers helpful information. Service You Deserve. Professionals You Trust. Dunn Tire has 30 convenient locations in Central and Western New York and Northwest Pennsylvania — with stores in Buffalo, Niagara Falls, Lockport, Dunkirk, Jamestown, Olean, Rochester, Batavia, Brockport, Syracuse, Auburn and Erie, PA. We are a world-class distributor of tires, tire equipment, and wheels. We take pride in our world class customer service and guaranteed lowest prices. Our Out-the-Door Installation Package includes 12 products and services. We call these 12 items "The Dunn Dozen", and you won't find all these items anywhere else, at any price. It's worry free tire buying. The best value in the tire business, bar none.